A young owl with fluffy feathers and a heart shaped face has arrived at Taronga Zoo from Featherdale Wildlife Park, where he was hatched. 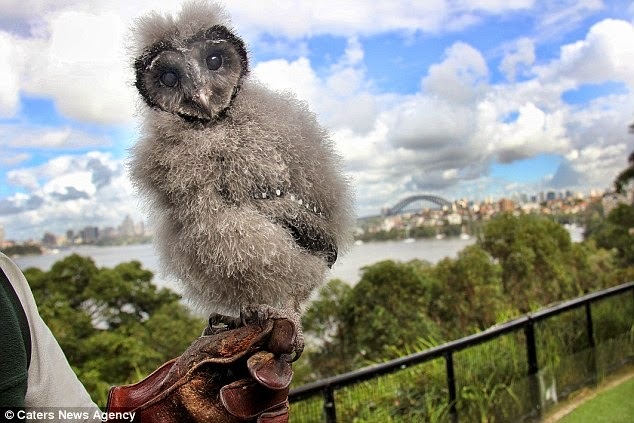 Griffin was recently taken to the North Sydney zoo to join the bird show team. 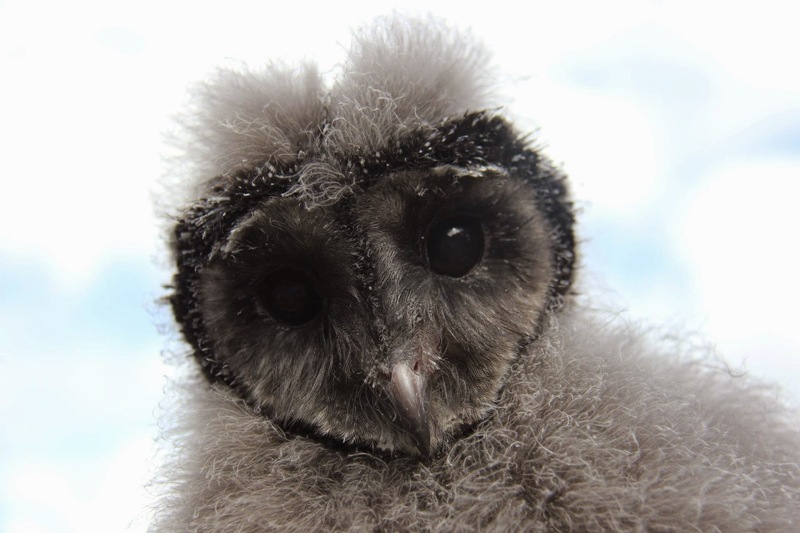 Although the Lesser Sooty Owl might look like a feather duster, the eight-week-old tiny chick will soon be ready to fly. 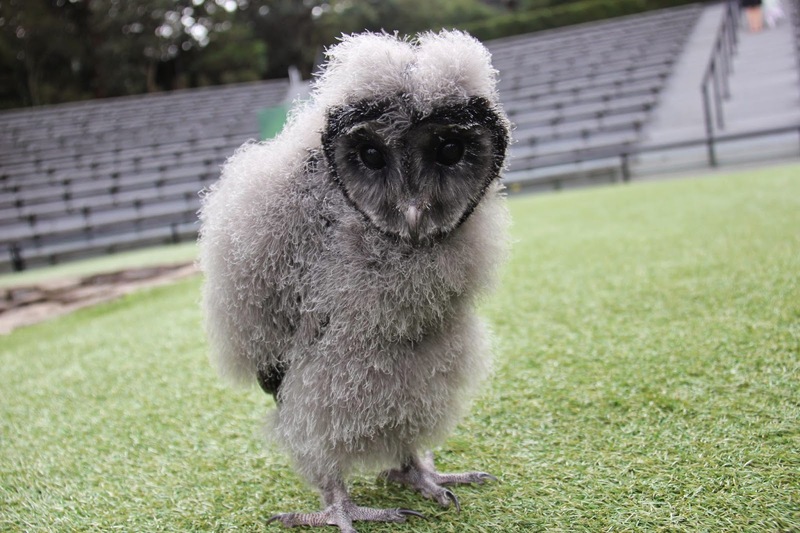 Griffin is being raised by the zoo's bird show supervisor Matt Kettle, who says the chick is already exploring his environment and being trained for the shows. 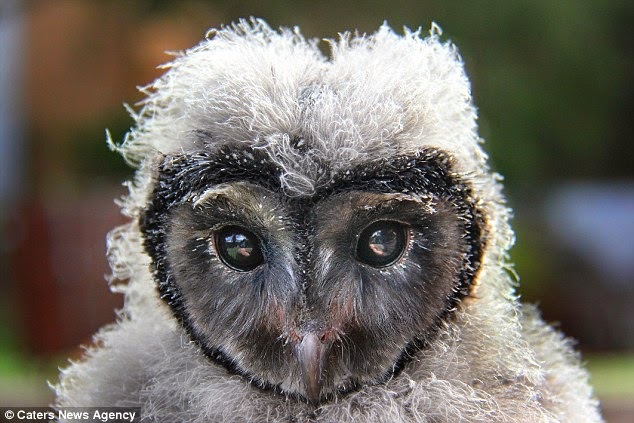 Native to Northern Queensland, lesser Sooty owls are Australia's most nocturnal species of owl, preferring very dark and dense rainforest habitat. 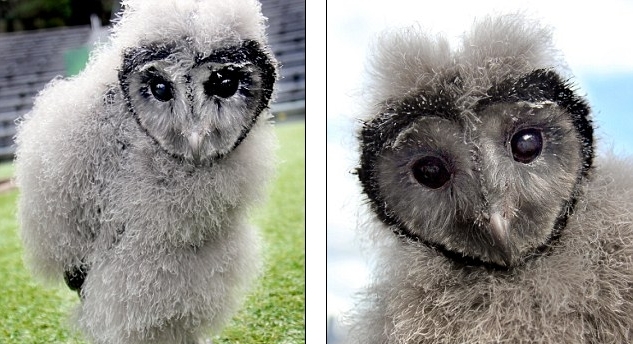 Responses to "Meet Griffin, the adorable owl with a heart-shaped face"
OMG!!! Just too too cute!